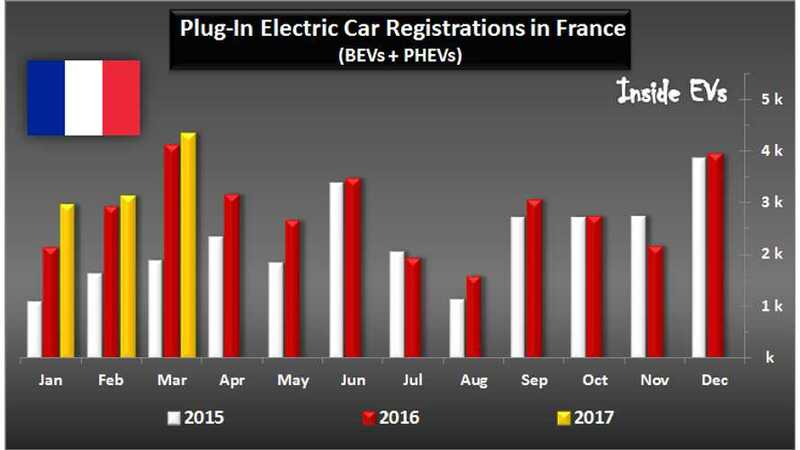 France has set a new all-time record for electric car sales in March. In total, some 4,336 new plug-in vehicles were registered, which is up 5.7% year-over-year. As per the norm (thanks to the dominant influence of Renault), all-electric vehicles made up the bulk of the sales. 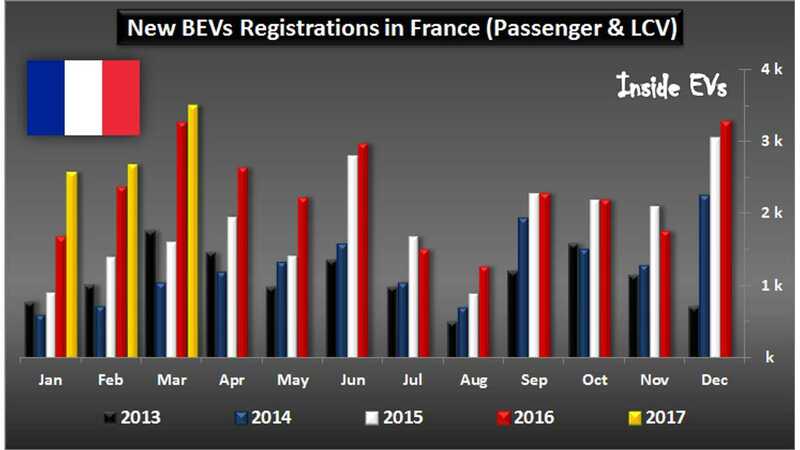 Especially encouraging for France, is that BEVs are setting new records, mostly due to the longer-range Renault ZOE Z.E. 40 (with ~300 km/186 miles of real-world range), which now accounts for 69% of passenger BEV sales. 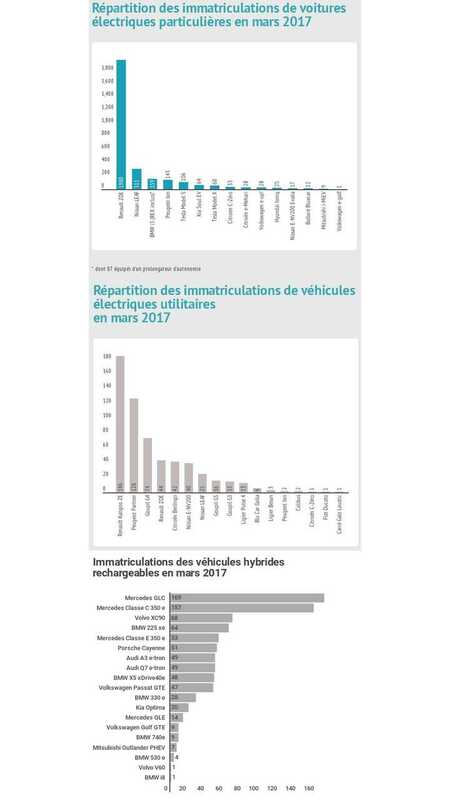 In March, Renault managed to deliver record 1,980 ZOEs (up 45%) plus another 44 registered as commercial vehicles, to push the EV past the 2,000 mark overall. 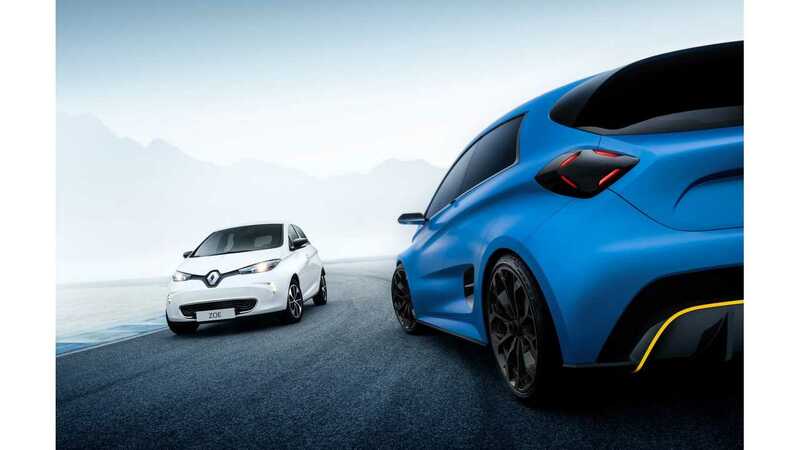 The ageless Nissan LEAF noted 311 to finish in a distant second, while the BMW i3 (with REx) at 159 sales, the Peugeot iOn with 143 sales, rounded out the top 4. Tesla had its best month to date in France, as 106 Model S (5th best selling EV overall) and 60 Model X (7th best selling EV overall) were registered.